The effort to explain to, or convince, a person who is living with dementia is often met with frustration on the part of the Alzheimer's caregiver; and, refusal on the part of the person living with dementia to cooperate. Long winded explanations or trying to convince with lots of words does not work with persons living with dementia. They usually end up refusing to cooperate, or just say "no". In order to care effectively it is often necessary to change communication tactics. In other words, adjust to the present and the way things are now. It is not unusual for caregivers to try and explain and convince a person living with dementia to do something - like take a shower. 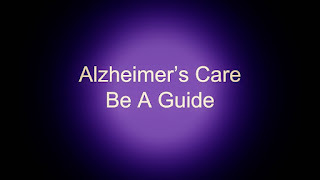 This effort to explain, cajole, or convince is often met with frustration on the part of the Alzheimer's caregiver; and, complete and total recalcitrance and refusal on the part of the person living with Alzheimer's. Synonyms for Recalcitrance -- balkiness, contrariness, defiance, insubordination, intractability, rebellion, rebelliousness, disobedience, unruliness, willfulness. Ever experience any of the above while trying to convince a person living with dementia to do what you want them to do? Person living with dementia are Deeply Forgetful. As a result, when you start talking fast, using a lot of words, or start cajoling they might forget, or not even know what you are talking about. They really do forget immediately at a certain point. In other words, they become so confused they don't even no what you are talking about. I can promise you this. It is most likely when you do this that they are going to settle the issue by saying No. Or, by telling you they already did it. Famous words from Dotty -- I just peed, I just took a shower. The shower one was kinda funny because she was still sitting there in her pajamas. What a person who is deeply forgetful won't tell you is - what are you talking about, why are you talking so fast, or why are you trying to boss me around like I am a child. They might not say, why are you trying to boss me around, but they might be thinking or feeling it. Listen to the tone of their voice, and the look on their face, to determine what they might be feeling or thinking. Try it. You will get very good at this over time if you try. A good guide makes eye contact with a person living with dementia before they start talking. A good guide smiles and waits until they receive a smile back. A good guide doesn't say its time to take a shower, instead, they hold out their hand and wait patiently for the person who is deeply forgetful to take their hand. They then say lets go as they start to move. When the person living with dementia asks where are we going, keep you lips sealed tight and start guiding. Once you get going a bit you might say something positive like - its time for some ice cream. Wait for the positive response. Dotty would usually say, oh good, I'm starving. And then and only then its time for the zinger. For example. "You know what, lets take a shower first and put on some cloths so we can go out after we have our ice cream." Keep your lips sealed and keep on guiding, regardless of what they say, and lead them right into the shower. This does and will work. Think positive, we have a lot to accomplish together -- so lets get started. Once you get into guide mode it gets easier and easier. Before you know it, you stop sweating all the small stuff, and start doing all the good stuff. Everything becomes beautiful in it's own way. If you get frustrated just keep on practicing. And remember, I believe in you.